Tesla has yet to ship a single Model Y, but the company has quietly raised the price of the crossover by up to $2,000 CAD. When the company first announced the vehicle, it listed the ‘Long Range’ trim at $64,000 CAD. Tesla has since raised the price by $1,000 CAD, making the Long Range trim $65,000 CAD. The All-wheel-drive options’ prices have gone up by $2,000. Tesla originally announced the ‘AWD Long Range’ trim at $69,000 CAD. Its new price is $71,000 CAD. Finally, the ‘AWD Performance’ variant started at $81,000 CAD. It now costs $83,000 CAD. What’s unclear is if the automaker is going to raise the price of the mass market ‘Standard Range’ when it gets released in early 2021. Elon Musk announced the vehicle with a price of $39,000 USD (roughly, 51,915 CAD). Customers who placed a $3,200 CAD deposit on a vehicle when its price was lower will have their orders honoured at that original price, according to InsideEVs. 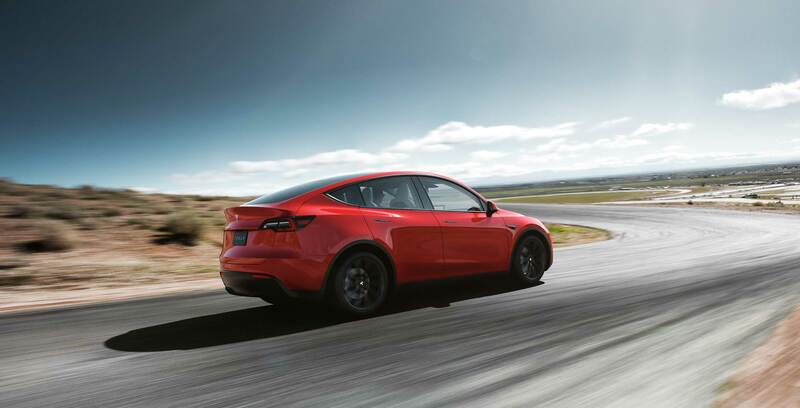 To find out more about the Model Y, check out MobileSyrup’s announcement post detailing the upcoming vehicle.